The world has embarked upon a campaign to reduce greenhouse gas (GHG) emissions. This is a serious challenge that will require focused policies rooted in reality. Regrettably, the political process sometimes falls far short of that objective. This is particularly so in the states of California and Washington, where ideology has crowded out rational analysis and the adoption of what can only be seen as reckless “cowboy” policies. Last year, California enacted Senate Bill 375, which seeks to reduce future GHG emissions by encouraging higher urban population densities and forcing more development to be near transit stations. Yet there is no objective analysis to suggest that such an approach will work. Of course, there are the usual slogans about people giving up their cars for transit and walking to work, but this occurs only in the minds of the ideologues. The forecasting models have been unable to predict any substantial reduction in automobile use, and, more importantly, such policies have never produced such a result. In fact, higher densities are likely to worsen the quality of life in California, while doing little, if anything to reduce GHG emissions. California already has the densest urban areas (which includes core cities and surrounding suburbs) in the United States. The Los Angeles urban area is 30 percent more dense than the New York urban area. The San Francisco and San Jose urban areas are also denser than the New York urban area. Sacramento stands as the 10th most dense among the 38 urban areas over 1,000,000 population, while Riverside-San Bernardino ranks 12th and San Diego ranks 13th. This high density creates the worst traffic congestion in the nation. The slower stop and go operation of cars in traffic congestion materially intensifies local air pollution and increases health hazards. It also consumes more gasoline, which increases GHG emissions. Finally, California’s prescriptive land use regulations have destroyed housing affordability. By the early 1990s, land use regulation had driven prices up well beyond national levels relative to incomes, according to Dartmouth’s William Fischell. Over the next decade the rationing effect of California’s excessive land use restrictions tripled house prices relative to incomes, setting up the mortgage meltdown and all that has followed in its wake. The implementation of Senate Bill 375’s provisions seems likely to make things worse. California’s urban areas already have plenty of dense “luxury” housing, much of which is now empty or is now converted from condos to rentals. Wherever they are clustered, particularly outside traditional urban centers like San Francisco, such areas experience intense traffic congestion, with all the resultant negative impact on both people and the environment. Yet despite the problems seen in California, the ideological plague has spread to Washington state. Last year the Washington legislature enacted a measure (House Bill 2815) that requires reductions in driving per capita, for the purpose of GHG emission reduction. By 2050, driving per capita is supposed to be halved. This year there was a legislative proposal, House Bill 1490, that would have mandated planning for 50 housing units to the acre within one-half mile of light rail stations. This would have amounted to a density of nearly 50,000 per square mile, 3 times the city of San Francisco, 7 times the density of the city of Seattle and more than that of any of more than 700 census tracts (small districts) in the three-county Seattle area. Areas around stations would be two-thirds as dense as Hong Kong, the world’s most dense urban area. The density requirement has since been amended out of the bill, but the fact that it made it so far in the legislature indicates how far the density mania has gone. The bill appears unlikely to pass this year. Extending the density planning regime is not likely to help the people on the ground, much less reduce GHGs. Seattle already has a housing affordability problem, which is not surprising given its prescriptive planning policies (called growth management or smart growth). Theo Eicher of the University of Washington has documented the close connection between Seattle’s regulatory structures and its house price increases. As in California, Seattle house prices rose dramatically during the housing bubble, nearly doubling relative to incomes. At the same time, much of the debate on House Bill 1490 has been over affordable housing. Yet there has been virtually no recognition of connection between Seattle’s low level of housing affordability and its destructive land use regulations. House Bill 1490 would have only made things worse, and still could. Proponents have indicated that they have not given up. The theory behind House Bill 1490 parallels that of California’s SB 375. It assumes high densities would significantly reduce driving and attract people to transit. As in California, however, this is based upon wishful thinking, and has no basis in reality. No urban area in the developed world has produced a material decline in automobile use through such policies. Regrettably, the special interest groups behind the California and Washington initiatives appear more interested in forcing people to change their lifestyles than in reducing GHG emissions. This is demonstrated by the Washington driving reduction requirement. A good faith attempt to reduce GHG emissions from cars would have targeted GHG emissions from cars, not the use of cars. The issue is GHG emission reduction, not behavior modification, and the more the special interests target people’s behavior, the clearer it becomes how facetious they are about reducing GHG emissions. Technology offers the most promise. Already the technology is available to substantially reduce GHG emissions by cars, without requiring people to change their lifestyles. Hybrids currently being sold obtain nearly three times the miles per gallon of the average personal vehicle (cars, personal trucks and sport utility vehicles) fleet. And that is before the promising developments in decades to come in alternative fuels and improved vehicle technology. In addition, the rapid increase in people working at home – a number on track to pass that of transit users by 2015 – would also represent a clear way to reduce GHG emissions. Finally it is not certain that suburban housing produces higher GHG emissions per capita than high rise urban development. The only comprehensive research on the subject was conducted in Australia and found that, generally, when all GHG emissions are considered, suburban areas emitted less per capita than higher density areas. This is partially because dense urbanites tend to live a high consumption lifestyle, by eating out at restaurants serving exotic foods, having summer homes and extensive travel. It is also because high density living requires energy consumption that does not occur in lower density suburbs, such as electricity for elevators, common area lighting, and highly consumptive central air conditioning, heating, water heating and ventilation, as Energy Australia research indicates. Further, tomorrow’s housing will be more carbon friendly than today’s. Japan has already developed a prototype 2,150 square foot, single story suburban carbon neutral house. Much of the anti-suburban and anti-car sloganeering ignores these developments and generally assumes a static world. If the world were static, we would still be living in caves. The price that society can afford to pay for GHG emission reduction is considerably less today than it was just six months ago. The history of the now departed communist world demonstrates that poorer societies simply do not place a high priority on environmental protection. That is not surprising, since people address their basic human needs before broader objectives, such as a better environment. That may not comport with the doctrines of political correctness, but it is reality. In such times, communities should be careful not to undertake policies based on assumptions or the preferences of those planners, architects and ideologues who seem to hold suburbs and personal mobility in such contempt that they would not be satisfied even if they emitted no GHGs. These radical motives are inappropriate. “Cowboy” policies enacted ad hoc at the bequest of ideologues openly disdainful of our basic lifestyles threaten not only the future prosperity of a society but our most reasonable path to long-term environmental improvement including reducing GHG emissions. Submitted by applee on Wed, 04/10/2013 - 14:25. This is really very happy for the nice info in this blog that to utilize the nice info in this blog. I am really thank you very much for the nice services in this blog that to using the great services in this blog. Submitted by petty on Mon, 04/27/2009 - 20:51. 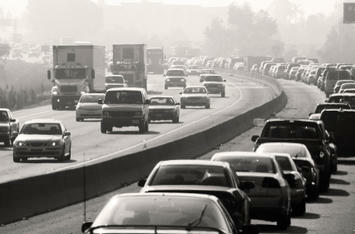 Obama takes the lead of gas reduction policies and on finding ways to make any alternatives to gas-guzzling cars (e.g. lexus floor mats ). Submitted by diannegreen on Tue, 05/24/2011 - 09:19. If we really want for the green gas level to go down we are the ones who should make a change. The politicians might come with various ideas to make their point, but if we don't change our driving habits and give up on those huge SUV-s little will be done. I wonder how many people have been checking out the car dealer websites lately, you would be amazed how many cool green automobiles are out there, they just need to be discovered. Submitted by peter on Wed, 03/25/2009 - 18:16. Contrary to what Mr. Cox says, there is a host of research that's been done on the relationship between urban densities and energy usage and it's been fairly conclusively shown that denser urban places use less energy per capita and consequently generate lower GHG emissions. NYC for instance generates around 1/3 as much GHG emissions per capita as the nationwide average. It's plainly obvious that a person who travels 50 miles a day in a 3,000 pound vehicle is going to use a lot more energy than somebody who walks and rides a train. There is no magic technology on the horizon that will change that. The easiest thing we can do to reduce GHG emissions without reducing our quality of life is to live in places that don't require us to drive 50 miles a day. It seems to me that the California bill is a step in the right direction. Ed Glaeser would disagree with you. Submitted by zen on Thu, 03/26/2009 - 02:39. One of the biggest drivers of greenhouse gas emissions are climate and local energy production sources. As SB 375, raises the cost of housing it causes new development to be pushed out to the other areas with less temperate climates that require greater expenditures for heating and cooling. Moreover these areas like Houston, Dallas and Phx tend to rely more on coal for local power production. The problem with SB 375, is that its based upon flawed assumptions. According to the Public Policy Institute of California, since 1977, California has spent less per capita on freeways than the rest of the country (see pg 139 infra). It also spends more on mass transit (see pg 132 infra). Yet the annual vehicle miles per capita in California are higher then the rest of the country. (see pg 142 infra). SB 375 suffers the same flaw that previous efforts at limiting car useage have had, incredibly bad pricing. Bad pricing kills perfect planning every time. The one thing that seems to reduce vehicle miles traveled is higher gasoline taxes. If the marginal cost of driving is still cheaper than the marginal cost of transit people are going to drive instead of use transit - that is still the case after SB 375. That means that SB 375 will be ineffective at boosting transit usage. If you are passing feel good policies that aren't actually reducing the per capita usage of automobiles but raising housing costs and driving residents into less enviromentally benign like Houston and Phx, your policy is making things worse not better. Submitted by epar on Thu, 03/26/2009 - 12:11. Citing that to draw the conclusion that transit is unworthy of investment vis-a-vis auto infrastructure is a non sequitur. The success of transit is just as much a function of the land use patterns it operates in as the capital allocated to it. If conducive land use patterns are prohibited than the marginal cost of transit use - in terms of time and money - will be higher than auto use except for very high gas tax levels. And then there are areas that simply have no transit infrastructure. In this case where demand is totally inelastic, the incidence of the tax falls entirely on the consumer. The tax would then fail in its goal of reallocating resources and succeed only in raising revenue (in a very regressive away I might add). What Peter suggests - liberalizing growth restrictions in core areas while tightening them in fringe areas - would be a good way to lower the cost of transit use. Submitted by zen on Thu, 03/26/2009 - 17:36. SB 375 mandates a Regional Housing Needs Assessment. RHSA. But the RHSA is a blunt instrument. It doesn't say that transit utilization is higher in Sacramento than in the suburban areas of the region and direct new growth into the city of Sacramento closer to transit. Instead it just says that all communities in the area must plan for a share of projected new growth. Notice how this results in Lincoln with a population of 42K is going to add another 10K units in the next 7 years where as the city of Sacramento with a population of 460k is going to add merely 17k during this period. While limiting growth in the urban fringe and liberalizing it in the urban core might be admirable policy goals, that isn't what SB 375 is doing by a long shot. Instead its mandating growth of existing suburban areas, many that are far from existing transit networks, like Lincoln. This top down planning approach clearly isn't achieving the goals you are hoping for SB 375. But what is it doing? Mostly its increasing the regulatory burden of new construction. That in turn is going to drive up the marginal cost of construction and in turn push growth out of California into other areas. Transportation demand is 'totally inelastic' only in the short term. Over longer time frame people can take steps to adjust to increases in gas taxes. They will drive smaller cars, they will car pool, take fewer trips. Additionally higher gas taxes will change land use patterns. Longer commutes will be more expensive and living in locations further from employment centers will be more expensive. This will change land use economics making density more favorable. How do we know it will work? Because it is the one thing that has worked in the past. Look at the poor record of the command and control efforts of increasing transit usage. If you look at the census records, transit usage in Sacramento was 2.7% in 1970, 4.1% in 1980, 2.8 in 1990, 2.9 in 2000 and 2006. Light rail was built out in Sacramento in 1987 and a half cent gas tax was passed in 1988. If more money for transit and the built out of light rail in the region was going to work we should start seeing higher levels of transit usage after 1988. The data outlyier here is 1980, but that is explained by higher gas prices in 1980. SB 375 is just more of the same. Its an effort that probably isn't going to increase transit usage but will increase housing costs. Submitted by peter on Fri, 03/27/2009 - 11:40. A higher gas tax might be a good idea, but that alone will not get people out of their cars. In most places built within the last 50 years, you can't get anywhere except by driving. Increasing the cost of driving might incent people to carpool more, drive less, and buy more efficient cars, but it does nothing to solve the fundamental problem: that the only way for people to get between the home and the workplace (or anyplace else outside of the home) is by traveling long distances and expending huge amounts of energy. Maybe, with a higher gas tax, your typical suburban household will find a way to save 10% or even 20% less energy on transportation. That would be great, but its nowhere near the level of change we need to address the GHG problem (not to mention other sustainability issues). The only way to seriously address the problem is to change development patterns and stop building places that are inherently expensive in terms of both energy use and environmental side effects. I also don't see your argument that limiting suburban growth will increase housing costs. It costs roughly the same to build a townhouse in a transit-accessible location as it does to build a McMansion on a green field somewhere on the fringe, and there is more than ample room to build denser housing types within already-developed areas, particularly in California. Greater density does not have to mean higher housing cost, as long as development regulations permit enough new housing development. Submitted by zen on Fri, 03/27/2009 - 16:11. You are assuming that transit usage results in substantially less production per person of CO2 emissions. That is a function of two things, the power sources for the transit system and the utilization of the mass transit system. In most of the country the power source for mass transit is coal. The use of coal for energy is very GHG intensive, even more so than gasoline, so switching from gasoline to coal for power results in your first step of GHG emissions. You also have substantial transmission losses of bring that power from power stations to areas where the energy is used. The people of Los Angeles don't want coal plants in their community, but LA gets a lot of power from coal plants located in Utah, the transmission losses of that power result in even higher GHG emissions. The other issue is utilization. Mass transit is most GHG emission benign when its running full. If buses and light rail system ran full all of the time, then I would concede your point. But in order to get people to lead a car free life style, the mass transit system needs to run frequently, it needs to go to places where riders want to go (be comprehensive), it also needs to run really late hours. The result is that for most of the day, the mass transit system is running far from full to serve places with very few riders. During non peak hours, you have mass transit systems running mostly empty buses and mostly empty light rail transit service. When you throw in the incremental GHG emissions from building out the systems, its tough to argue that transit as currently constituted is GHG emission benign. In terms of emmissions, getting people to buy hybrids is probably a better policy. See here for further discussion of these points. The one thing we know that gets people to actually reduce VMT and incidently to increase transit utilization, that is raising the gas tax. But the purely behavioral approaches aren't working. Raising car mileage standards, without raising gas prices meant that people could just afford to commute further from employment centers in their smaller cars. Neither increasing transit funding with a half cent sales tax nor building out a light rail system in Sacramento increased transit utilization. Transit usage in Sacramento today is still 2.9% less than it was in 1980 see pg 13 above. In theory, infill development shouldn't be that significantly more expensive than suburban development. In practice it is. Some of it has to do with scale. In suburban areas large nationwide builders can assemble large tracts of land, and those builders can build homes very cheaply. Witold Rybczynski has a great discussion of how the mass markets developers can build so cheaply in the Last Harvest. But the other issue is Nimbyism. I am not sure if you read the Homevoter Hypothesis, but one of the points that Fischel makes is that homeowners biggest concentration of wealth is there home and changes in land use threaten the value of that asset. Moreover it isn't an insurable risk. Homeowner's or fire insurance won't protect them if changes in land use policies hurt the value of their home. So they become extraordinarily risk adverse when it comes to land use restrictions. He also points out that rent controlled units function as psuedo equity interest. If you have the rent controlled apartment in Manhattan or SF, anything that threatens that building is bad because you can't sell the benefit of your of controlled apartment arrangement and use that savings to finance moving somewhere else. Restrictive zoning and nimbyism may be the best form of insurance to protect the value of your housing interests in a big cities. So while you dismiss that greater density should not have to mean higher housing costs, I note that in practice everywhere construction costs are higher in higher density areas and I don't think that will change anytime soon. Further I note Ed Glaesers point higher levels of regulation tend to be associated with higher housing costs and most efforts to control GHG emission involve adopting new housing constuction regulation regimes. Submitted by peter on Mon, 03/30/2009 - 18:02. With respect to GHG emissions, the O'Toole report has a number of problems with its methodology, not the least of which is that it measures emissions per passenger mile, rather than per trip. The real benefit of public transit in reducing GHG emissions is in that it allows people to live closer to work and shopping and thereby take shorter trips. The average distance a person travels in a day in NY or SF or Boston is a fraction of how much the average American needs to travel just to get to work. A case in point, as I mentioned above, is NYC. NYC generates around a third as much GHG per capita as the nationwide average; what makes it uniquely energy efficient compared to other American cities is its heavily used transit system. I would venture that you could put every person in Houston in a Prius, and still NY would still prove more energy efficient. My point is that you need to look at transportation at the same time as development patterns. You can't expect to apply a gas tax and have the magic hand of the market solve your problems. As for housing costs, you are correct that there is an economy of scale in home construction. There are however plenty of infill development tracts that are large enough for an economy of scale in costs. True, costs tend to be somewhat higher as buildings add stories, but there are relative savings in infrastructure (i.e., no need for new road construction) and environmental related costs. A large stick-built townhouse project can be built for roughly the same as a typical large stick-built single family project.